Did you know you can earn beautiful prizes by participating in the National Trail Ride Program riding your registered Missouri Fox Trotting Horse? If you love multiple-day trail riding trips, this is the program for you. The National Trail Ride program welcomes people riding all breeds of horse, but if you’re a member in good standing of the MFTHBA and are riding a registered Missouri Fox Trotting horse, you can earn credit toward your award for each ride you go on. All you need to do is ride! The prizes are a Montana Silversmith buckle, customize designed embroidered jacket or a PFI Western Store gift certificate. 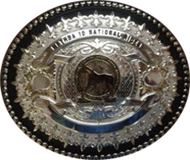 For participating in 10 MFTHBA National Trail Rides, MFTHBA members will be awarded a 10-ride Missouri Fox Trotter buckle. For participating in 20 MFTHBA National Trail Rides, MFTHBA members will be awarded a customized, embroidered Missouri Fox Trotter jacket. For participating in 30 MFTHBA National Trail Rides, MFTHBA members can choose between a 30-ride Missouri Fox Trotter buckle or an embroidered jacket. 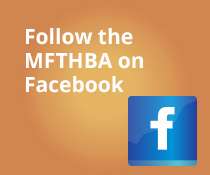 For participating in 40 or more rides, MFTHBA members can choose between a $100 PFI Western Store gift certificate or a $100 MFTHBA merchandise gift certificate. Click on arrow to open or close each group.